The past decades have seen concerted efforts to diversify the economy of the State, and Pawtucket has participated in that undertaking. 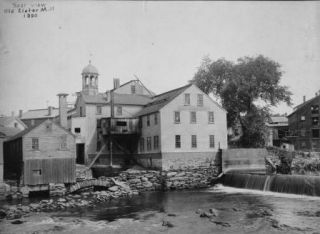 In the case of Pawtucket, major political reforms preceded extensive physical changes to the city. A home rule charter went into effect in 1954 providing a strong mayoral and unicameral City Council form of government, a clear organizational format, with professional officials and staff. Since 1956 the city has been a leader in community development programs, modernized and upgraded facilities and services. It has maintained consistent budgeting and fiscal methods, and instituted modern planning, programming, and management techniques. Population: The population count for The City of Pawtucket as of April 1, 2010, was 71,148. This represented a 2.48% decrease (1810 persons) from the 2000 population of 72,958. Housing Units: The total number of housing units in the City of Pawtucket as of April 1, 2010, was 32,055. This represented an increase of 236 units from the 31,819 housing units in 2000. Of the 32,055 housing units 3,033 were vacant and 76 of the vacant units were for seasonal of recreational use.